When you need to move a large amount of money, a wire transfer can be a safe and smart option. It allows you to electronically transfer money from one financial institution to another. |1| Know when to use a wire transfer. 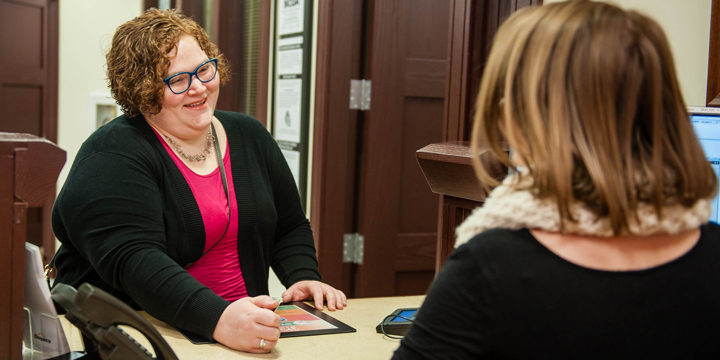 Wire transfers are generally used when you need to send a larger amount of money to someone, either internationally or within the United States, or to pay off a loan, says Ashley Schultz, accounting supervisor at Dupaco Community Credit Union’s Pennsylvania branch in Dubuque, Iowa. If the recipient doesn’t use Dupaco, and you need to send a large amount of money, wiring the funds can be a safer alternative than mailing a check or cashier’s check, Schultz says. That’s because fraudsters can intercept mail and use cashier’s checks to create counterfeit checks. Wire transfers typically carry a fee, so you’ll want to know in advance how much the service will cost you and the recipient. |2| Have the recipient’s information ready. Receiving bank name, address, ABA number and any special wiring instructions. Beneficiary name, address and account number. Dollar amount of wire transfer. A physical address for the financial institution, sender and beneficiary for foreign wire transfers. |3| Be on alert for scams. If the recipient insists the wire transfer happens immediately. If the recipient refuses to talk to you on the phone, insisting to only communicate via email. MORE: Be on alert for these other common scams. |4| Once you send the money, it’s gone. Once you wire money, you can’t easily get it back, Schultz cautions. Oftentimes, people assume that when they wire money, the recipient has access to it immediately. But that’s not the case. Each financial institution has its own processing times, so the availability of the funds depends on both financial institutions’ schedules, Schultz says. The recipient usually has access to the cash in one to two business days.